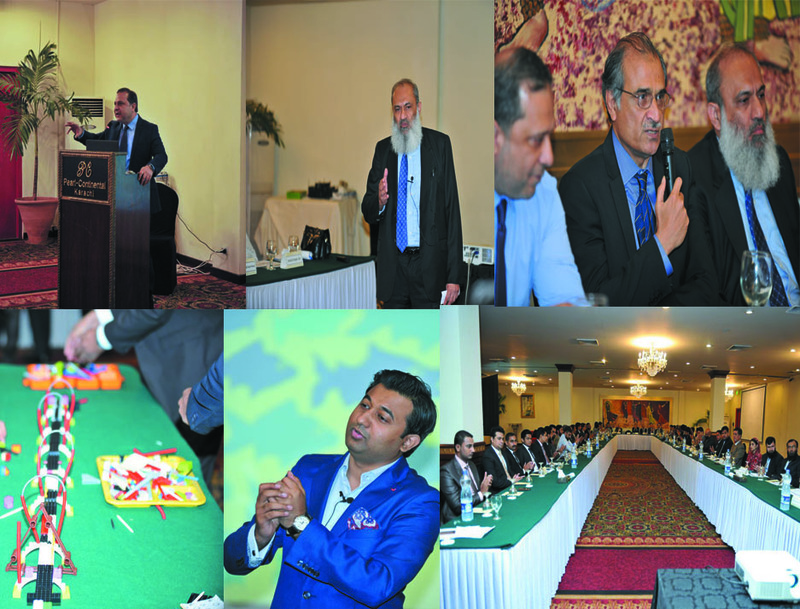 Annual Sales Conference was held on 29th July,2017 at PC Hotel,Karachi. This year theme was “Driving Sustainable Growth through value selling”.Presentations on zonal performance and strategies to achieve target were made by Zonal Managers of Business Solutions,Industrial Solutions and Healthcare Solutions Departments. Guest Speaker session was conducted by Ali Saeed, (trainer) followed by lego activity. DUBAI: American multinational conglomerate General Electric (GE) is installing health solutions and upgrading infrastructure at military-run hospital in Pakistan with financial assistance of the US military, said the company’s official. “We are doing a lot of work in the health sector of Pakistan, at its military hospitals, out of the aid provided by the US military for the Pakistan Army, ” said Maher Abouzeid, President and CEO of GE middle East and Turkey. Abouzeid said a team has left for Pakistan for site preparation. Meanwhile, GE announced industrial internet and software solutions, aimed at accelerating business productivity and growth at an event, titled “Mind + Machines 2015”. GE Chairman and CEO Jeffrey Immelt said Middle East region and Pakistan are to embrace the digital industrial economy. Immelt said GE’s Industrial internet and software solutions offer a 20 percent potential increase in performance and efficiency in the energy generation. Several industrial leaders in Middle East Pakistan are among the world’s first-movers to embrace GE’s software solution that integrate heavy machinery with big data and analytics to achieve unprecedented levels of efficiency, productivity and profitability. “these solutions could help unlock $465 billion in economic value for industrial across the Middle East, North Africa, Turkey and Pakistan by 2025 annually,” Immelt said. He said the intersection between the physical world of industrial and digital world of software will transform productivity. “By accelerating the growth of a stronger, broader and more diversified manufacturing sector, the industrial app economy will enable the creation of more high-skill jobs for the region and Pakistan’s young and growing population,” he added. William Bill Ruh, Senior vice President and chief digital officer at GE said digital is the future of industrial, and the industrial internet is the key driver enabling GE to lead the next generation of industrial progress. “We know industrial machines and businesses, and we know how to build software that will best serve and optimize them” Ruh said. 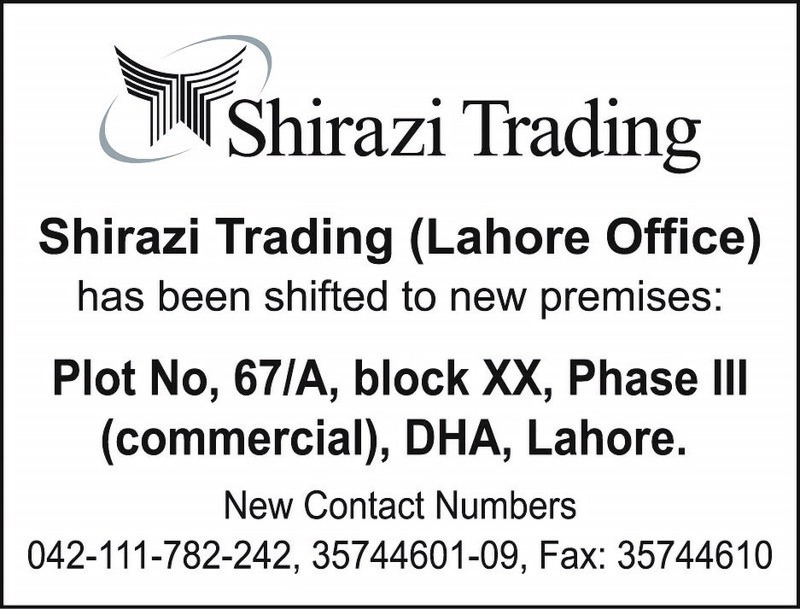 Annual Sales Conference of Shirazi Trading Company was organized in August 06, 2015 at Ramada Hotel, Karachi. This year theme was “Drive profitability through sustainable growth”. Conference was opened by Mr. Aamir Shirazi, President, Atlas Group and was closed by Mr. Yusuf H. Shirazi, Chairman Atlas Group. Presentations on Zonal performance and strategies to achieve target were made by Zonal Managers of Business Solutions and Healthcare Solutions departments (South, Central & North Zones). As a part of employee engagement initiatives, Cricket match was arranged by STC’s Human Resource Department at Karachi, Lahore & Islamabad during the month of April & May 2015. Cross functional teams were formed during these matches in order to enhance / develop synergy & team-ness among the associates. In order to motivate our associates to work with more dedication, commitment & passion, STC in collaboration with Talk organized an in-house motivational session on “Power of Ambition” in August 2015. Mr. Laeeq Ur Rahman Khan, Training Consultant conducted this session. Session was focused on setting goal while going an extra mile with enthusiasm & passion. 18 associates from Head Office & Karachi from different functions participated in this interactive session. As a part of employee engagement activity, STC’s Human Resource department organized the “treasure hunt activity” in Karachi & Islamabad branch on June & August, 2015 in its initiative to gather all our associates on single platform to create harmony & better understanding.